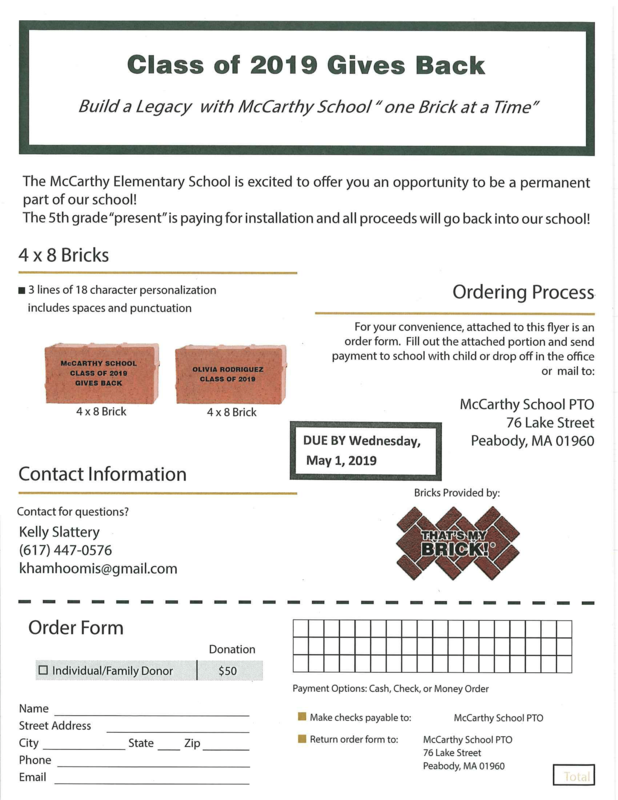 The McCarthy School PTO and current fifth grade class will be building a brick walkway in the front of the school. Former students and their families are encouraged to order an engraved brick as your legacy at the McCarthy School. The orders must be placed by Wednesday, May 1, 2019. Order forms can be printed or picked up at the McCarthy School. There will be some forms available at HMS and PVMHS.